SS 347H Tubes, 347H Stainless Steel Pipes, SS UNS S34709 Pipes, ASTM A312 Stainless Steel WRN 1.4961 Seamless Pipes & Welded Tubes Supplier & Exporter in India. We, Neon Alloys manufacture & export wide range of SS 347 Pipes and Tubes in Seamless, Welded, SAW, LSAW, DSAW etc. Alloy 347H is a columbium-stabilized austenitic stainless steel which resists carbide precipitation during welding and intermittent heating to 800/1650°F (427/899°C). Also known as UNS S34700, these pipes and tubes are having good high temperature scale resistance. 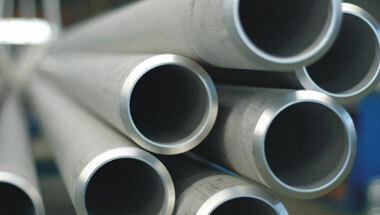 Our Stainless Steel 347H Pipes and Tubes are developed by using high level of accuracy. As a result, our SS 347H Pipes and Tubes are acknowledged in the market for their features like resistance against corrosion, durability and dimensional accuracy. Our 347H Pipes and Tubes are accessible in different thickness, specification & size as per the clients’ requirements. For our valuable customers, these SS 347H Seamless IBR Pipes and Tubes are being proposed at affordable market rates. Our product includes tubes and pipes, SS 347H Pipes, SS 347H Tubes, Stainless 347H Seamless Pipes & Tubes etc. These products are available at best possible prices which is another important feature exhibited by our products range. Stainless Steel 347H ERW Pipes, SS 347H Seamless Tubes, Steel 347H Welded Pipes, Stainless Steel 347H EFW Tubes, Stainless ASTM A213 347H Seamless Pipes Manufacturer in India. Trinidad and Tobago, United States, Azerbaijan, UK, Peru, Iran, Mozambique, Democratic Republic of the Congo, Bahrain, Kuwait, Iraq, Egypt, Angola, Malaysia, Uganda, Colombia, Jordan, Venezuela, Ghana, Indonesia, Morocco, Nigeria, Tunisia, New Zealand, Saudi Arabia, Africa, London, Chine, Ethiopa, Kazakhstan, Italy, Argentina, Israel, Mexico, Turkey, Sudan, South Africa, Sri Lanka, Vietnam, Australia, Houston, Brazil, Thailand (Bangkok), Canada, Cameroon, UAE, Russia, Germany, Dubai, Algeria. Sharm el-Sheikh, Singapore, Soweto, Jeddah, Ouagadougou, Riyadh, Kampala, Johannesburg, Colombo, Dakar, Alexandria, Jerusalem, Abu Dhabi, Lubumbashi, Benin, Khartoum, Tehran, Maputo, Kano, Durban, Giza, Hong Kong, Dubai, Harare, Kinshasa, Antananarivo, Mecca, Accra, Tel Aviv, New York, Pretoria, Freetown, Tripoli, Ibadan, Addis Ababa, Yaoundé, Byblos, Doha, Port Elizabeth, Port Harcourt, Cairo, Kaduna, Zaria, Abidjan, Omdurman, Casablanca, Manama, Douala, Amman, Luanda, Cape Town, Bulawayo, Kolwezi, Aqaba, Lusaka, Algiers, Brazzaville, Mbuji-Mayi, Muscat, Cairo, Beirut, Fez, Mogadishu, Subra al-Haymah, Conakry, Bamako, Data from the UN, Bethlehem, Rabat, Maiduguri, Istanbul, Nairobi, Dar es Salaam, Lagos, Dammam.